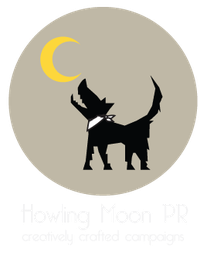 Flexible service - We have extensive experience working in beauty PR and our clients have ranged from larger companies like Australian-based A’kin to handmade small batch beauty product producers like Hairy Jayne Handmade Haircare and Lucy's Lotions. As with all the clients we work with, our service is very flexible - from product launches for BRYT Skincare to longer term on-going PR campaigns with clients like Ruby Red. We like to think we’re a little different; we like to work "with" brands rather than "for" them offering a very personal service. Feather, Meta-Pora, Earthbath, Vermont Soap and Vonbros. Based in Madrid, aromatherapist Dafna has worked in collaboration with scientists to combine Ayurvedic principles & essential oils with innovative biotechnology in this nature-meets-science graceful-ageing skincare range which has been formulated with super-charged natural bio-active ingredients. Embodying the philosophy ‘Beyond Skin Deep’ , the unique combination of more than 40 natural and bio ingredients have been incorporated into the highly advanced skincare formulations designed to target both external and internal factors that can contribute to early skin ageing and accumulated skin damage. 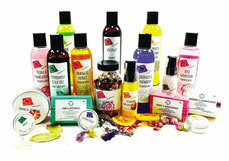 Germany's innovative, highly popular body care products are now available in the UK. After bilou’s very successful product launch in Germany, Austria, and Switzerland, UK fans can now enjoy the brand’s quirky scents through an exclusive partnership with Superdrug. Bilou's fun fragrances of Coco Cocktail, Cotton Candy, Fizzy Berry, Pink Melon and Tasty Donut appeal to Instagrammers and YouTubers and always result in lots of interaction with their audience when reviewed. Inner-Soul is all about boosting inner confidence through treatment of the skin holistically to nourish, balance and enhance. Inner-Soul’s Founder Emma Coleman is a qualified Aesthetic Nurse, Clinical Aromatherapist and Skin Nutritionist and offers clients a comprehensive range of bespoke skincare treatments and solutions through a combination of science and nature with natural & organic skincare, facials, rejuvenating treatments and aesthetic injectables. Based in Bideford, north Devon, The Soap Kitchen is one of the UK’s leading ingredients suppliers to the crafts of soap-making, toiletry-making and candle-making. formulate, design and manufacture The Soap Kitchen’s range of toiletries including hand-made natural soaps, body washes & moisturisers, shampoos & conditioners, and men’s grooming products. Luxury natural botanical skincare inspired by traditional apothecary with a contemporary urban twist. London-based Ruby Red focuses on active ingredients found in nature to produce a range of body treatments with distinctive, pure aromas carefully hand-blended for maximum therapeutic benefit combined with a luxurious pampering experience. 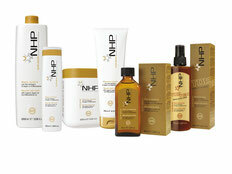 Developed for salon use, NHP is inspired by nature and features a range of treatment and aftercare products rich in organic Argan oil and organic Macadamia oil. NHP ingredients are organic certified and not treated with toxic substances or chemical processes, so the scalp is protected, not irritated. NHP is also kind to the environment as all packaging is 100% recyclable and products are created using alternative forms of energy.